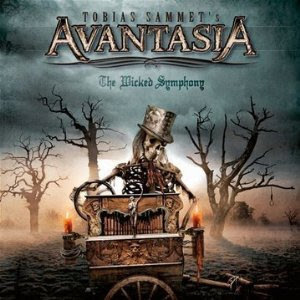 Hall of the Mountain King: Review: Avantasia, "The Wicked Symphony"
The other half of Tobias Sammet’s two-album Avantasia release, The Wicked Symphony, doesn’t fare quite as well as its counterpart Angel of Babylon. It, too, has its moments, but overall seems just a little too generic power metal in places. Like its companion piece, The Wicked Symphony opens with a longer, more epic number in the title track. This is one area where this record is better. The song opens with some symphonic adventure movie orchestration and features some dramatic riffing. It’s far better than the forgettable opening track of Angel of Babylon. Jorn Lande again lends his talents to four of the 11 songs and teams up with Michael Kiske again on one of those. The lineup also features a shot of big-name star power with Scorpions vocalist Klaus Meine lending his talents. Among the other vocalists are Tim “Ripper” Owens, Andre Matos of Angra and Russell Allen of Symphony X. There are some standout moments on this record as well. In two rare cases here, the singers mold the songs to their own style rather than Sammet’s. An obvious case of that is “Dying for an Angel,” featuring Meine. His voice is so distinctive that it’s hard to hear it and not think of the Scorpions, and it’s a memorable hard rocker. The other is “Scales of Justice,” featuring Tim Owens. It’s one of the more aggressive tracks on either record, pairing well with his vocals, and it lacks much of the over the top bombast that accompanies most of the other tracks. After that, though, pickings become a little slim, as more of the typical power metal and 1980s commercial rock weigh down songs that have some promise. “Black Wings,” for example, opens with a great riff that puts me in mind of Ronnie James Dio-era Black Sabbath, but becomes bland as it goes on. “Blizzard on a Broken Mirror” has some cool crunchy guitar riffing early, but despite that promise never seems to go anywhere. 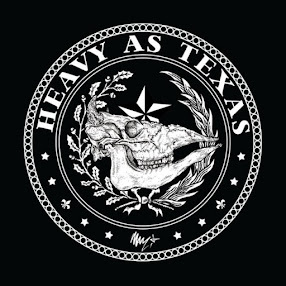 “States of Matter” also has a good wailing and thrashing riff early, but soon becomes a song you’ve heard a million times. “Crestfallen” does pick things up a little, though I can’t really decide whether I really like it or not. There’s a nice bouncing riff early, and I like the chorus which reminds me a little bit of Sisters of Mercy, and is different from anything else found on the two records. There are songs to recommend on The Wicked Symphony, but fewer, it seems to me, than on Angel of Babylon. At the risk of sounding like a broken record, as with most double albums, I’d really rather have all the good songs on one disc.